The Lincoln University Board of Curators announced today that Dr. Carolyn R. Mahoney was named the 18th President of Lincoln University. Dr. Mahoney was named President after a nearly year-long process that included candidate screenings and interviews by a Lincoln University Presidential Search Advisory Committee. The Lincoln University Presidential Search Advisory Committee consisted of LU alumni, faculty, staff, students, stakeholders, Missouri Legislators and members of the Mid-Missouri community. Dr. Mahoney will be the first woman to lead the University when she takes over for current LU President, Dr. David B. Henson. She currently serves as Provost and Vice Chancellor for Academic Affairs at Elizabeth City State University in Elizabeth City North Carolina. Dr. Mahoney spent the decade of the 1990s at California State University San Marcos, where she was one of the original twelve founding faculty. 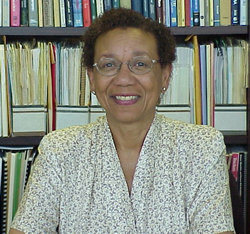 During 1994-95, Mahoney rotated as a Program Director in the Education Directorate at the National Science Foundation. Prior to moving to California, Dr. Mahoney served on the faculty of Denison University in Granville, Ohio. She earned a Bachelor of Science degree in mathematics from Siena College in Memphis, Tenn., and she also holds master's and doctorate degrees in mathematics from The Ohio State University in Columbus, Ohio. Carolyn Mahoney and her husband Charles have three grown daughters and one granddaughter.